Wedding Related Blog Articles From VivienB's Wedding Stationery. The latest news and offers from VivienB's. Find interesting facts and ideas for your wedding and wedding stationery. Wedded Bliss With Wedding Invitations To Match! It’s no secret that Cadburys purple is possibly one of the most popular colour choices when It comes to planning your wedding. But are we playing it safe by choosing this wonka insipred concoction?? With so many colours to choose from, why are brides choosing Cadburys purple time and time again for their wedding theme and wedding invitations? The good wedding venues get booked up very quickly so make sure you decide on yours well in advance. Even as much as a year if this is possible. If you’re having a church wedding then you will need to organise a reception venue that is close enough for your guests to get there easily. If you’ve having it at a registry office, you will need to arrange a licence with the registrar. Will there be enough accommodation near the reception venue if people need to stay over? At VivienB's we have a great selection of local Venues for you to choose from including Monkey Island, The Oxford Belfry, Ardington House, and The Kings Hotel. This is not something you can leave late, for obvious reasons. Not only do you need to compile a guest list, you also need to find a stationer and get your invitations designed; wait for them to be printed; send them out and then wait for people to RSVP. 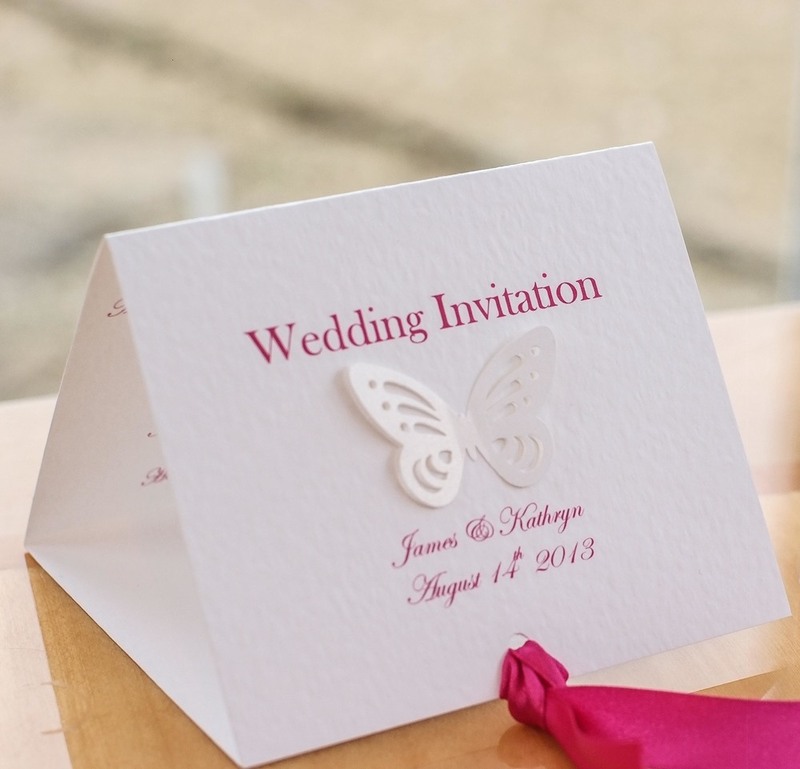 If you want good quality invitations that people can keep, look for a bespoke wedding stationer, like VivienB's. Getting really well-designed invitations on high quality card will cost you a little more but it’s worth it if you want to mark the day and make it really special. Remember high quality invitations can take up to 8 weeks to create, so it may be worth thinking about when you want to send them out, and booking the production of these early to avoid delays. • Clothes, Hair and Make-Up: From the bride’s perspective, choosing your dress is probably the most important decision. So take your time and look around plenty of bridal shops well in advance of the wedding. Decide whether you are going to buy ‘off the rack’ or have your dress custom-made. If the latter, you will need to make room for several fittings in case your weight fluctuates between the ordering of the dress and the big day. In addition to this, you will also need to choose clothes for the rest of the bridal party and arrange fittings for those too. As for hair and make-up, if you’ve got your heart set on certain stylists, make sure you book them early enough so you can secure them. When in comes to your wedding reception, one thing you will need to decide upon is whether to have a buffet or a sit-down dinner. The former will normally work out cheaper so it’s better if you have a large number of guests. Talk to caterers to find out what they charge per head and ask to try some taster menus. Aside from this, you’ll also want to choose a wedding cake designer – whether you want an elaborate three-tiered affair or something more modest. You will want to have some visual mementoes of your day so you can look back on them over the years. For this reason, it’s very important to hire an experienced and professional photographer. It’s best to ask for personal recommendations from friends or acquaintances. Contact us at VivienB's for our recommended photographers who we have worked with. Also, when you speak to someone you’re considering, make sure you ask to see examples of previous weddings they have worked on to see if you like their style. If you want your reception to have a lively atmosphere then you will need some kind of music to create a buzz. Weigh up the pros and cons of having a live band or a DJ. The kind of music you go for will depend partly upon your tastes and partly those of your guests. Ideally, the people you book should be able to cater for many tastes as you normally get a pretty broad mix of ages at a wedding. Also, don't forget to make a playlist to suite the mood for interim parts of the day, such as whilst you and your partner are off having your personal photos taken. Lastly, you will want to decorate your reception venue to give it a bit of personality. Possibly the church as well if this is permitted. Go to a wedding florist and see what they have to offer and start thinking about bouquet designs both for you and for the tables at your reception. Aside from flowers, there are other kinds of decorations you can use to dress a room up so go to a wedding shop to get some ideas. Summary: If you have a wedding to plan, have you thought about all the important decisions and bookings you need to make? The following is a checklist of essential tasks to complete so you can avoid any stressful last-minute panics! • Theme: If you choose a distinctive theme for your wedding then it will help to shape all your other decisions. Do you go for romantic? Gothic? Or maybe opt for a retro feel? The more original your theme, and the more it reflects your own personality and taste, the more special your wedding day will be. • Venue: The place you choose to hold your wedding and reception is very important indeed. It should be able to reflect your theme, so if you have gone for a Gothic feel and you have the funds for it then you may want to consider hiring out a castle. Of if you’re having a summer wedding then why not consider a laid-back beach barbecue? 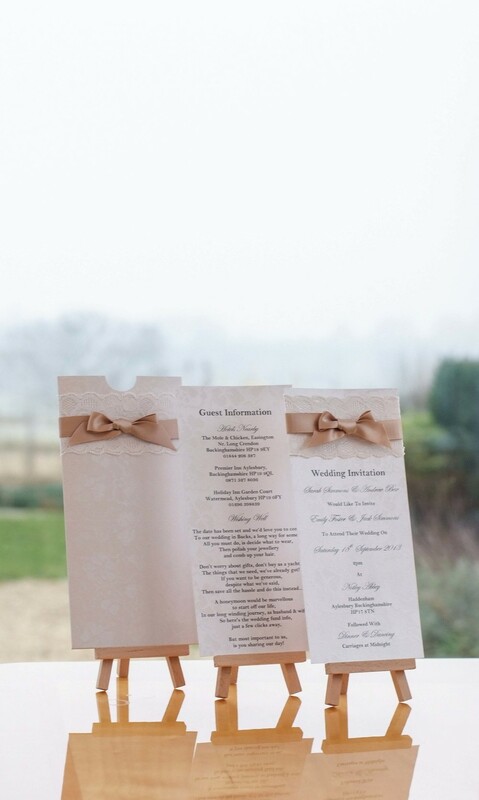 Luxury designer wedding stationery from VivienB's, in Oxfordshire. • Invitations: A wedding invitation has more than just a practical function: it is something your guests can keep as a memento of the day. To make yours unique, splash out on some designer wedding stationery created by a professional. They will work together with you to come up with something totally suited to you, your tastes and the theme of your wedding. 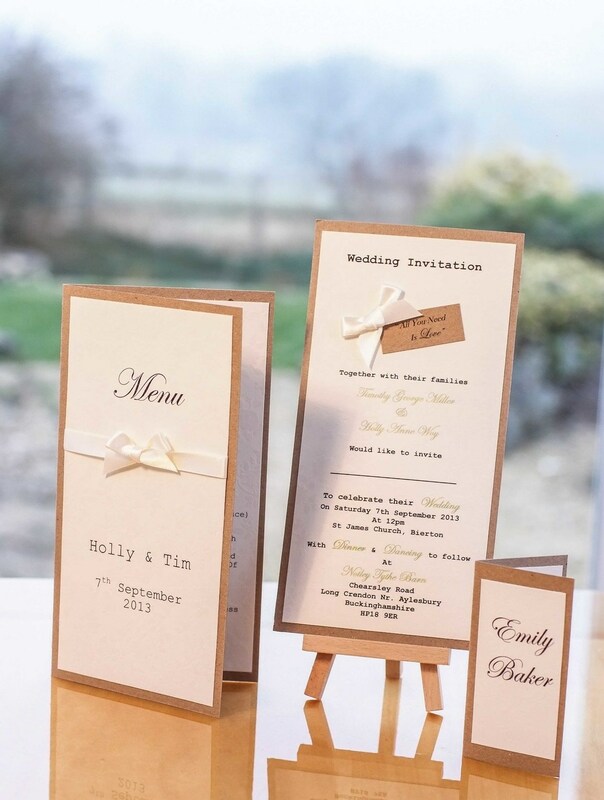 By sending out bespoke designer wedding stationery you can set the tone of your big day well in advance. • Flowers: If there are some flowers that have particular sentimental value for you and your partner then these are the ones to choose for your wedding day. You should bear in mind that flowers are seasonal so you will want to anticipate what is going to be available in the month of your wedding and plan accordingly. Beautifully arranged flowers can transform even the most drab of venues so it’s worth taking extra care over these. • Souvenirs: If your guests have something quirky to take away with them it will be sure to make the day stand out in their minds. This can be photos, cards or anything you think will remind them of the day and what made it special. At one recent wedding I attended each guest was presented with wild flower seeds to scatter in their gardens. VivienB's wedding stationery Clients Holly and Tim. We caught up recently with Holly to ask her a few questions about her big day whilst reviewing some of her fabulous photos. Photos Copyright to Rebecca Judge Photography. How would you describe your wedding in three words? What were your themes/Colours for the day? "Neutral shades & sage green"
What is your "Top Tip" to any bride in planning their wedding? "The planning is the most important part; get a spreadsheet drawn up early, know what your budget is and negotiate with suppliers. Book the key items early and ensure you have booked your date with enough time to save for your perfect day." What is the no.1 "must have" on your wedding day? "A right hand man/woman to handle any last minute requests from suppliers so you can enjoy your day. Also ensure you take a step back to appreciate all your hard work and to take in the moment; this is likely the only time that all the people you and your husband love the most in the world will be in the same room, at the same time all for you. It goes so quickly... treasure every second!" If you could have changed one thing about your special day, what would it be? "The only thing I would have changed would be using lavender for confetti... it really hurt!! :) We wanted something different but we should have gone for rose petals; dried lavender hurts when thrown at you from all angles and you don't get the same effect on the photographs!" Why did you choose VivienB's to create your wedding stationery for you? "Debbie worked really closely with me to design the Wedding Invitation in keeping with our theme; I had a very precise vision for the day and wanted the invitations to tie in. We had a couple of proofs and Debbie was so helpful and fabulous to work with. " Thank you, Holly, for taking the time to share your wedding journey and experience with VivienB's future Brides-to-be! I think the Lavender tip is certainly something to be considered by everyone! But lovely idea! Whilst attending the Monkey Island wedding fayre on Sunday 27th October, we were pleasantly surprised to find that the wonderful couples attending were drawn to the originality and quirkiness of the First Class Boarding wedding invitation collection, available from VivienB's. The Venue itself boasts spectacular grounds that are encircled by the River Thames, creating an island of opulence for weddings. Only accessible by footbridge or boat, the First Class Boarding Invitation, originally created for a couple in the airline industry, became an instant favourite. Not only could the lavish invitation duo as an airline ticket, but it could also reflect the luxury of a cruising passenger ticket. 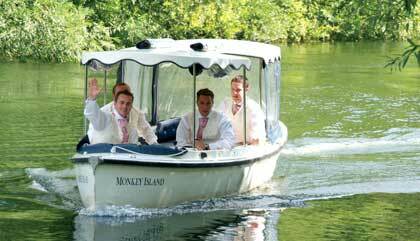 A Perfect choice for guests to bring along to the wedding, as admittance to board a short boat trip across to the venue or footbridge access. 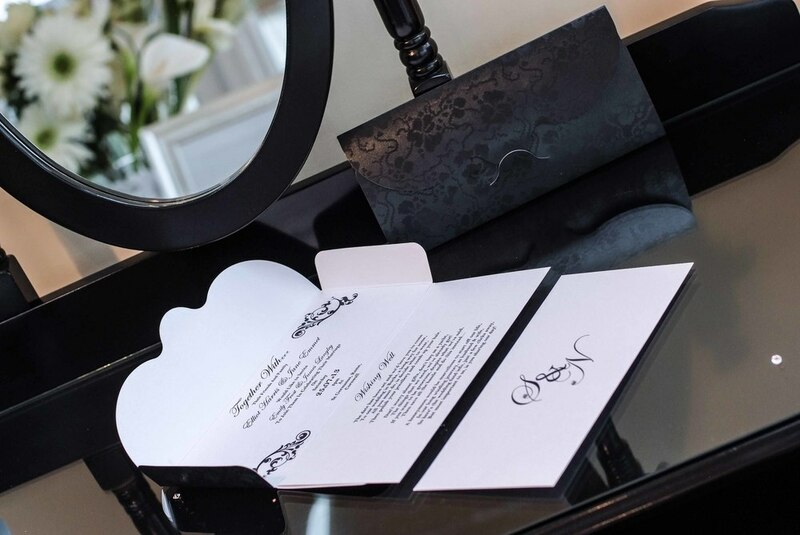 Why not take a look at the First Class Boarding invitation collection from VivienB's and see how adaptable this invitation could be for your wedding venue choice. Jennie Hopcroft, who recently was crowned best wedding co-ordinator of the year by The Wedding Industry Awards,commented that she was very impressed by the quality and design of VivienB's Wedding Stationery, and would be more than happy to recommend our services to engaged couples getting married at the hotel. We look forward to working with The Pinewood Hotel, Jennie Hopcroft and their engaged couples in the near future. Why Choose Luxury Wedding Invitations? Summary: You wedding invitations can be a more important than you might think in terms of setting the tone for your big day. To get them just right, it’s worth thinking about getting a bespoke designer to produce you some luxury wedding invitations. Summary: Choosing the right wedding invitations is important as you will no doubt want them to be perfect. This article looks at the benefit of hiring an expert to create you some bespoke wedding stationery. Summary: There are many aspects of planning your wedding day, one of which is choosing and sending your invitations. This article looks at what you need to think about to get them just the way you want them. Make your wedding a "LOVE to attend" wedding of the year! A key element of your invitation is setting the scene of what they can expect from your wedding day. Is it going to be a dull, lack lustre day? Not likely! Your wedding is going to be one of the most important days of your life, so tell them that. Is there a theme? Is it a glitzy, razzle-dazzle affair? Is there something that reflects your relationship to your guests? VivienB’s strive to create just that: Something to look forward to. Something so beautiful and unique, that your guests keep your invitation on display, rather than in a drawer. With an average of 96 guests being invited, thats £9.21 per guest. Have you considered your wedding stationery in your wedding budget? The average overall cost of a weddings in the UK is now unning at £22,858!! With figures appearing to rise each year, it has never been more important to make sure you have included all aspects, even down to nail polish you will wear and the aftershave the groom will adorn. Many brides and grooms have also been known to underestimate the cost of wedding stationery, with a average spend on invitations nearly running into the thousands themselves. That's why, here at VivienB's, we always encourage brides and grooms to start their wedding invitation and stationery search to start as soon as possible. At VivienB's this allows us to get to know you as a couple and create a custom design that fits you and your budget. We work with all budgets; small to very large, but the constant that remains, no matter your budget, is beautiful, superior quality wedding invitations and stationery. This includes, table plans, menus, table names and numbers, guest place settings and wedding favours. Why not take a look around our website (www.vivienbs.com) or facebook site, www.facebook.com/vivienbsforyou to see if we already offer a stationery collection that is right for you and your budget, or contact us at info@vivienbs.com and find out how we can work with your budget with many options to suit. Well just in time for the Kings Hotel wedding fayre, the VivienB's website has finally been established. Also, it's a great opportunity for us to Thank all of our wonderful clients, friends and family who have supported us on this journey. Your feedback and testimonials are greatly appreciated. Hope to see some of you at the Kings Hotel where you can get a hands on feel of all our stationery collections.